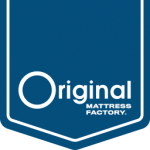 The Original Mattress Factory offers a wide selection of hand-built California king-size mattresses. California king-size mattresses are 72 inches x 84 inches. Our California king-size mattresses are available in 10 innerspring and three foam models, including two-sided and one-sided models and in comfort levels from soft to hard. 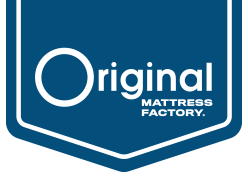 We highly recommend you pair your new mattress with a real working box spring, as well as a heavy-duty frame that features a center rail for support. Split box springs come standard on all California king-size mattress sets. If you have concerns about being able to easily get in and out of bed due to the height of the mattress, you may want to consider a low-profile box spring. All OMF California king-size innerspring mattresses are hinged to enable you to fold the mattress for easy transport.